Home ownership is a huge milestone in a person’s life. In some ways, it’s one of the main bedrocks of the American Dream. But that doesn’t mean that home ownership is always easy. In still economically turbulent times, many Americans have found themselves tight on cash. Many families are even living paycheck to paycheck. This leaves many in trouble with their mortgage payments. Mortgaging a home is the most common way that many become homeowners. But when money problems start, it can be hard to pay up and foreclosure begins to loom on the horizon. Many homeowners don’t understand how the home foreclosure process works. Understanding it can be the key to avoiding a foreclosure on your own home. Read on and we’ll walk you through everything you need to know. 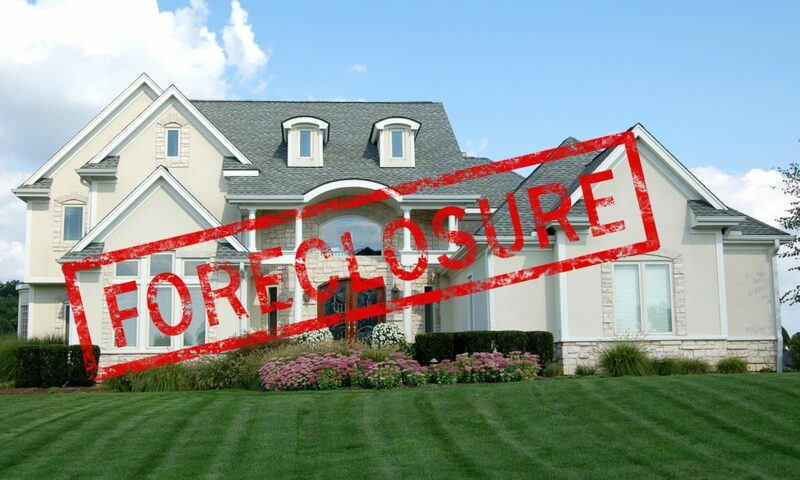 No one wants to have their home foreclosed upon but, sometimes the situation comes upon us. The first sign of foreclosure will be a notice delivered to the homeowner. You will receive this notice if you’ve defaulted on your payments for a total of ninety consecutive days. Your lender is required to notify you if you’ve failed to make these payments. Depending on your lender, they may offer you another grace period of ninety days to catch up with your payments. After this grace period, if you’ve still failed to pay, they’ll likely notify you of their intent to sell or auction off the property. The lender will notify that a notice of default has been filed. This is a formal indication that the lender has started to foreclose upon your home. From this notice, you’ll have another 90 days to try and reinstate your mortgage. You can do this by paying for the full debt owed as one payment. If you are unable to get this money together, your home will be put up for sale and auctioned. You will receive a notice when your home is put up for auction. At this point, it will be difficult to stop the foreclosure process. You must repay your debt within five days of the auction or you will lose your ability to reinstate your mortgage. This process may vary slightly from state to state, but it overall represents the standard process for most home foreclosures. In addition to losing your home, there are other negative side effects of foreclosure that can impact your life. A foreclosure is likely to impede your ability to find another home. Your current credit score will likely not allow you to receive the financing you’d need to purchase another home. You also likely will not be eligible for relocation services. Depending on the sale of your home, you also may not be out of debt. There are some instances where a home foreclosure wipes the slate of debt clean. But in some cases, you may still have a deficiency balance that the lender will need to be paid. It goes without saying that you don’t want your home to be foreclosed upon. You can learn how to stop the foreclosure of your home by following a few steps. For one, you could file for bankruptcy. This is a serious move, but it might be the only option you have if your facing losing your home. Bankruptcy stops the foreclosure process as soon as it’s filed for. A lender can then appeal the bankruptcy court to continue the foreclosure, but this process can take up to two months. There are multiple types of bankruptcy you can file on. In some cases, you can wipe your debts clean, but usually, you’ll establish some sort of payment plan. If you don’t want to do something that dire, you could also apply for a loan modification. The Making Home Affordable program offers loan modification programs that allow you to adjust the terms of your loan to make it easier to pay. Hardship is the primary factor in loan modification deals. It is a long and hard application process to get a loan modified, but it can be well worth it if you’re in a tough situation. If it looks like you might lose your home no matter what, you could consider short selling it. This is applicable in the situation that your debt is greater than what your home is currently worth. A lender must approve a short sale before you list your home on the market. A short sale is also sometimes used in cases of job relocation. You can also always attempt to sign the deed of your home back to the lender. This can be an easy way to avoid foreclosure, but many lenders won’t agree to do it. This is because it leaves them legally vulnerable if the homeowner hopes to sue later on down the line. There is no harm in seeing it’s possible with your lender if you have no other choice. Having a full understanding of the home foreclosure process can greatly help your decision-making process during this difficult time. If you’re in threat of foreclosure, you will have some difficult decisions to make. But hopefully, the above information can help you get out of this tough situation. Have more questions about avoiding foreclosure? Feel free to contact us anytime.